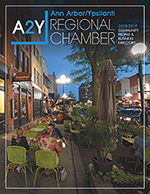 The Ann Arbor / Ypsilanti Regional Chamber's Foundation Gala is our annual fundraising event to benefit A2Y Chamber community initiatives. The event includes a silent auction of unique and valuable items. There will be a hat contest and a bow-tie contest. The winners receive a prize! No registration is necessary for the Gala. We look forward to seeing you there!